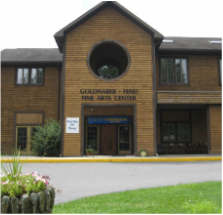 The Community Arts Center of Cambria County, a non-profit organization, dedicated to supporting, promoting, strengthening and interpreting the creative, performing and visual arts through education programs, exhibits and special events. We offer classes and workshops throughout the year for children and adults. Visit www.caccc.org to learn more, see what events are coming up, and to register for our emails! Like us on Facebook and follow us on Twitter @cacccARTS!